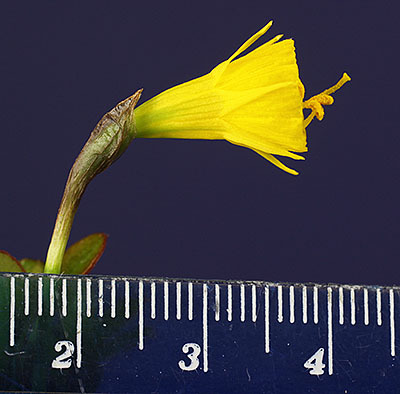 The remainder were not recorded. 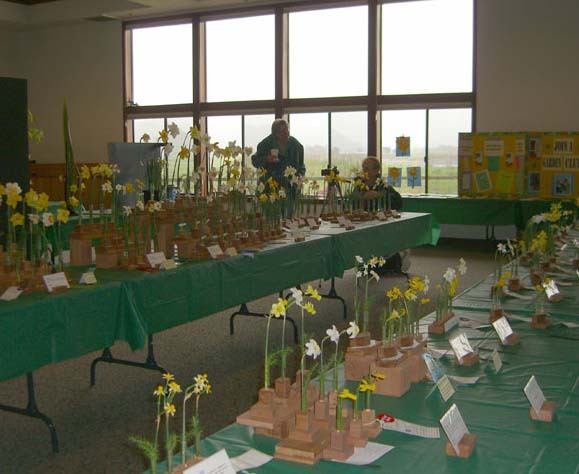 6525-09 2Y-Y (Wee Bee x N.
The first of the Northern California Daffodil Society’s two shows for 2009 was held in Livermore, California March 7 and 8 at Alden Lane Nursery. 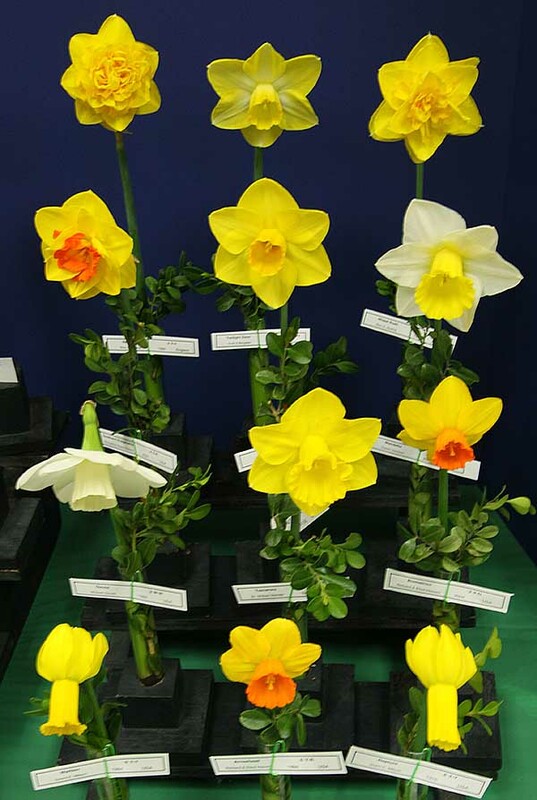 NCDS is grateful for the support of nursery owner Jacquie Courtright for letting us hold our daffodil show at her nursery at no charge. 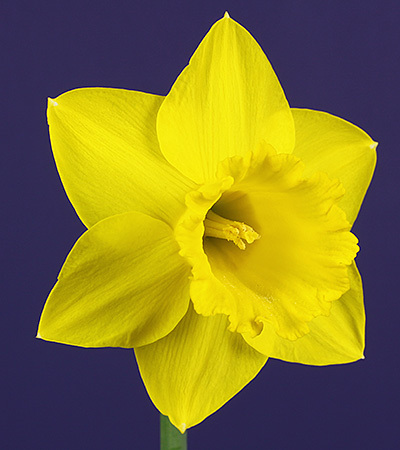 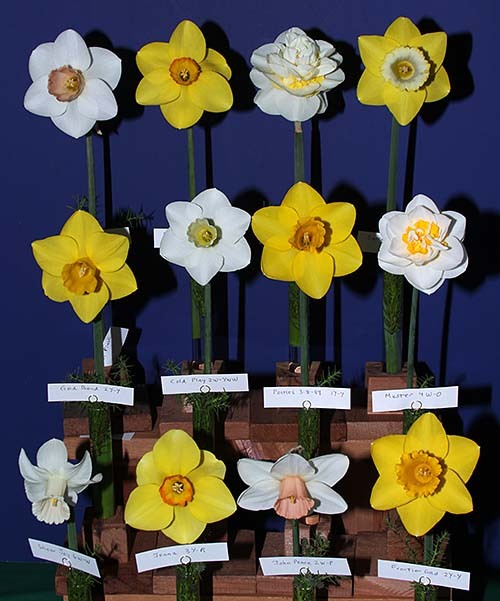 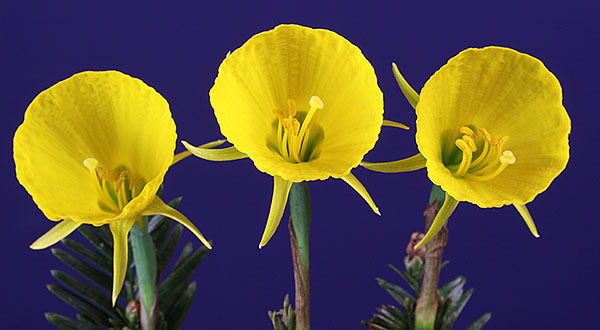 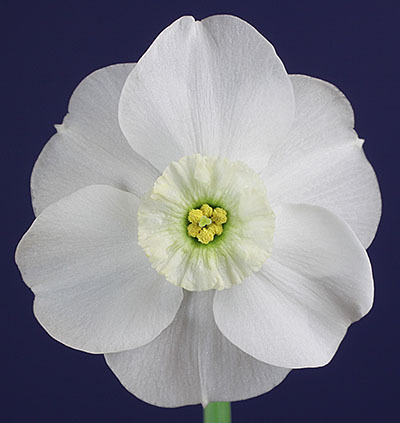 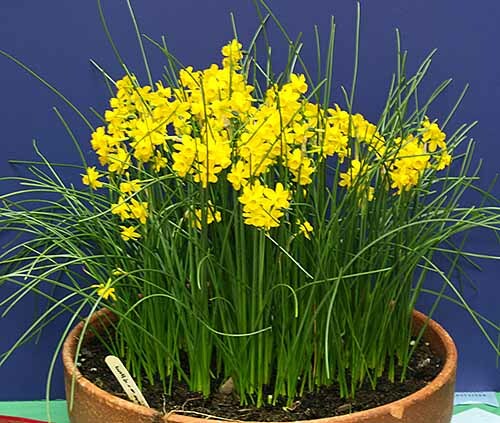 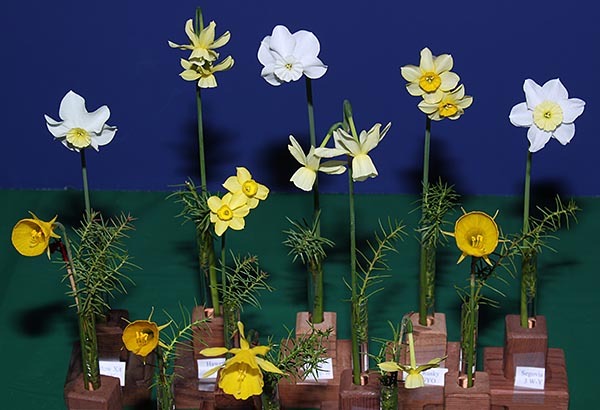 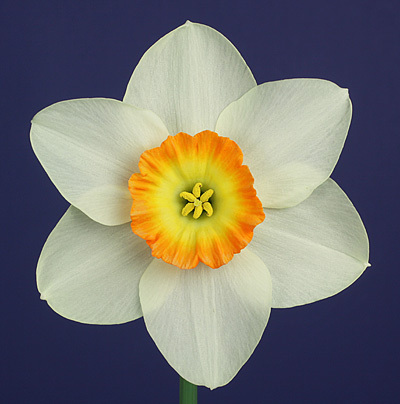 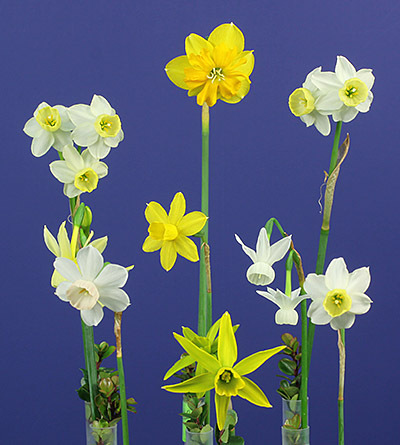 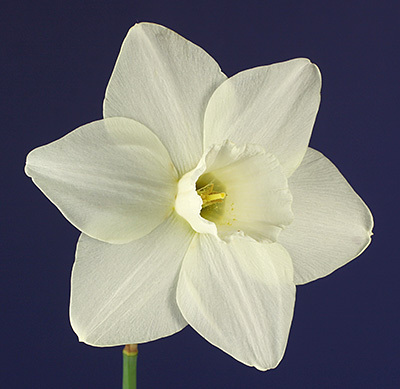 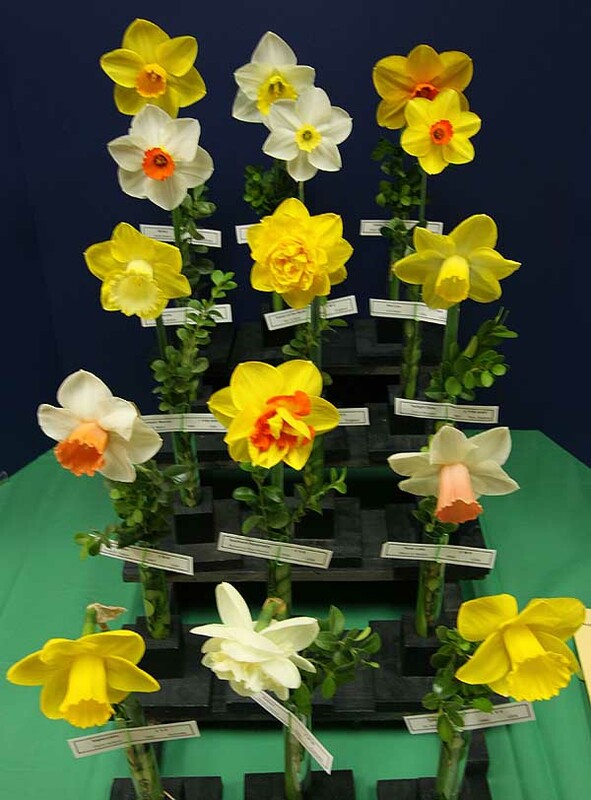 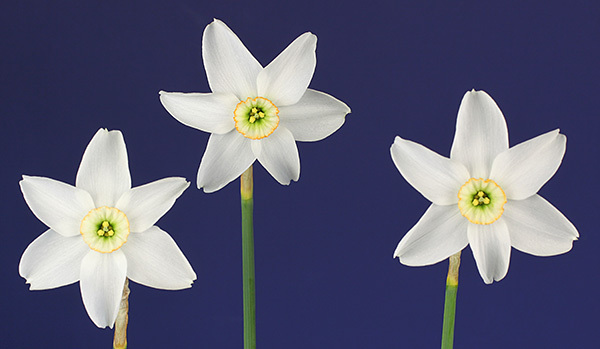 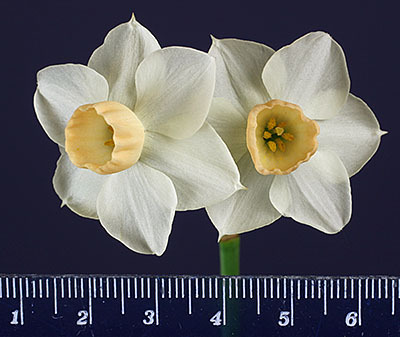 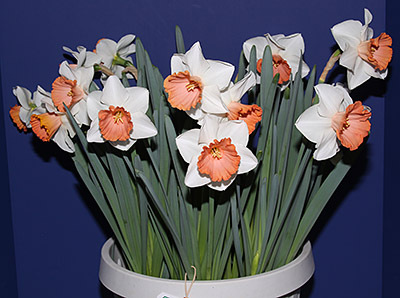 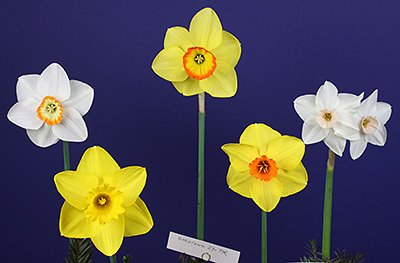 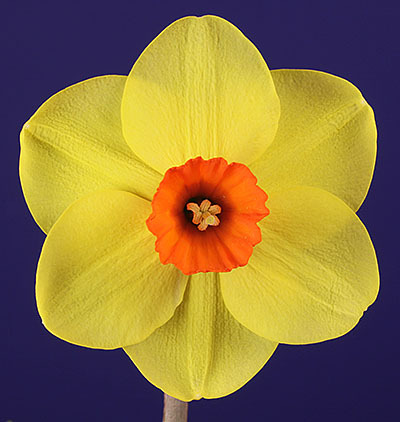 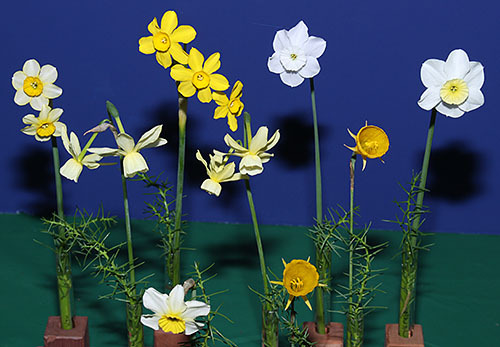 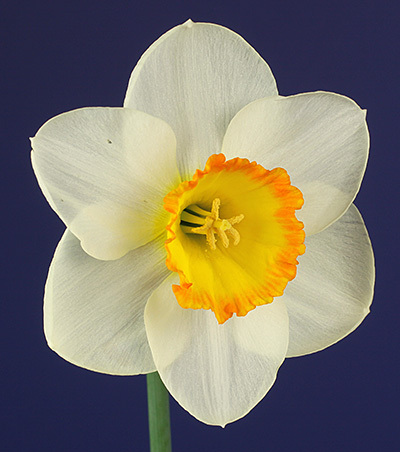 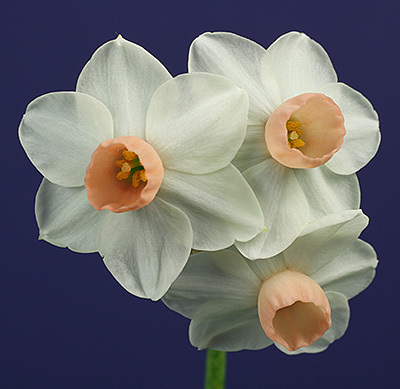 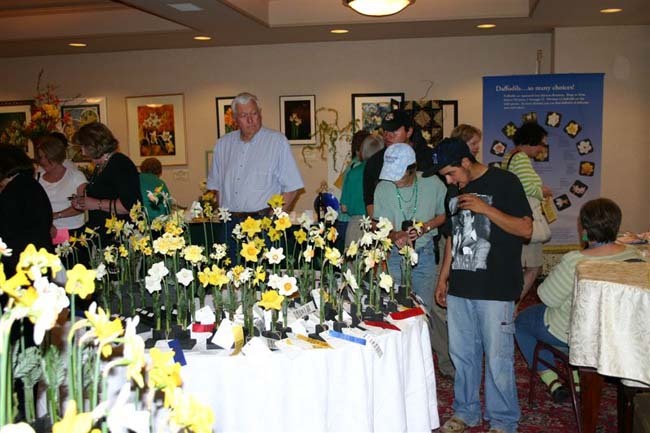 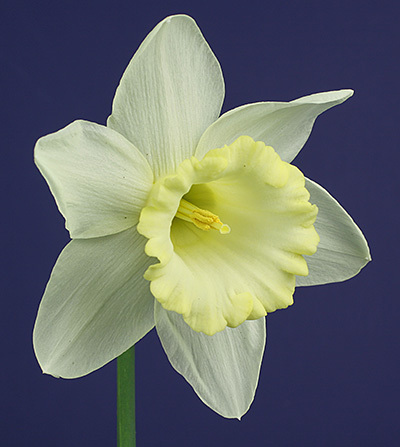 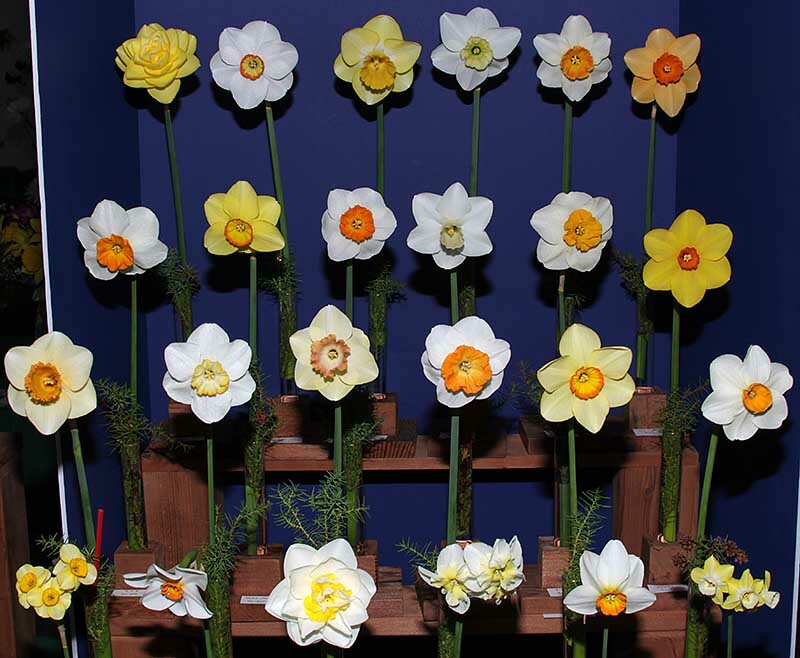 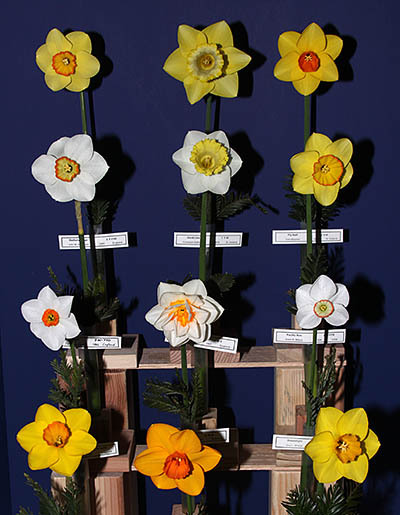 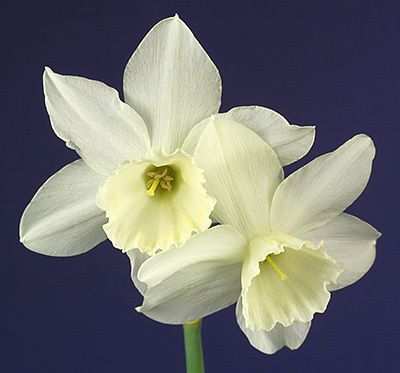 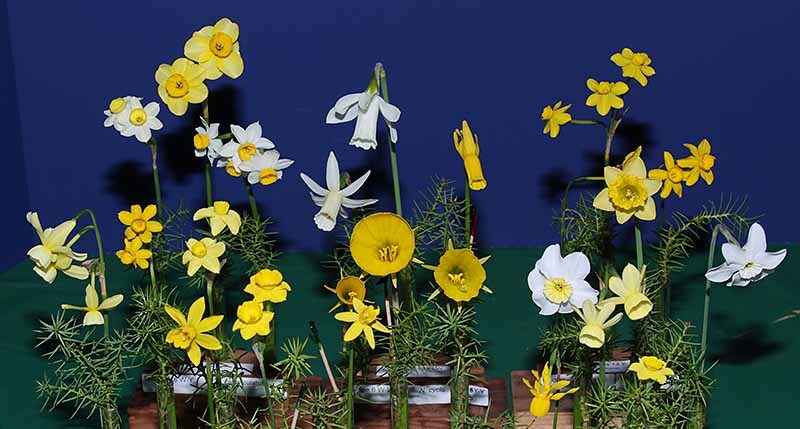 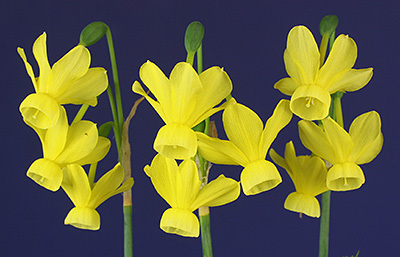 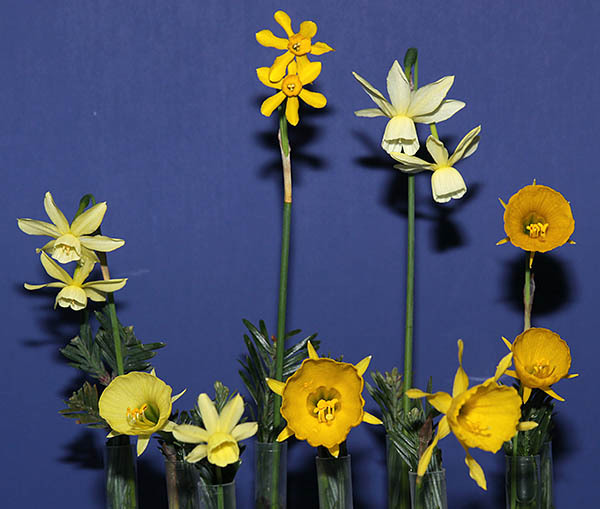 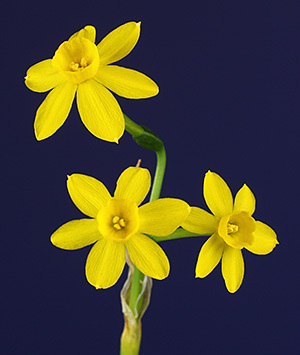 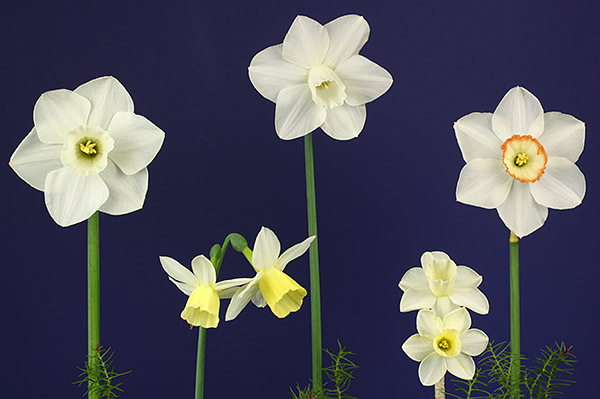 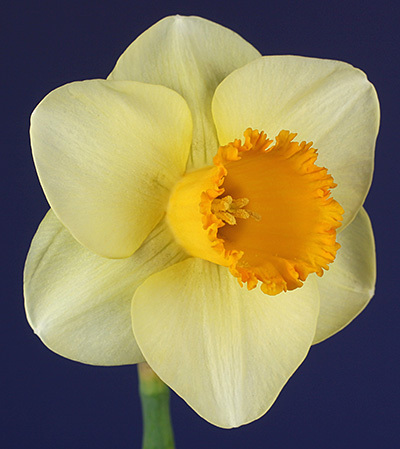 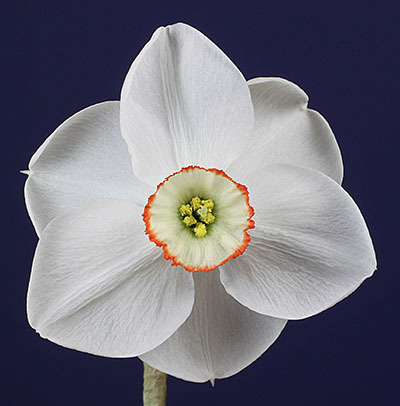 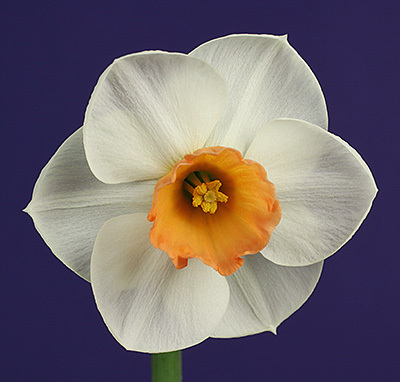 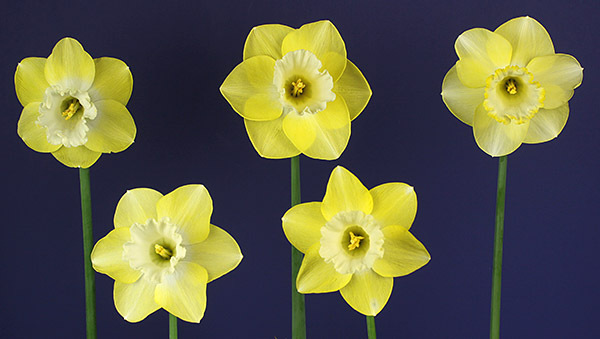 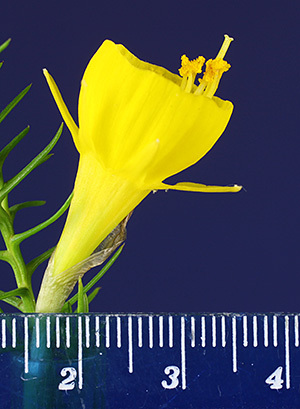 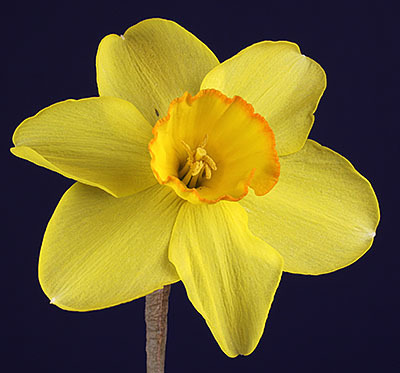 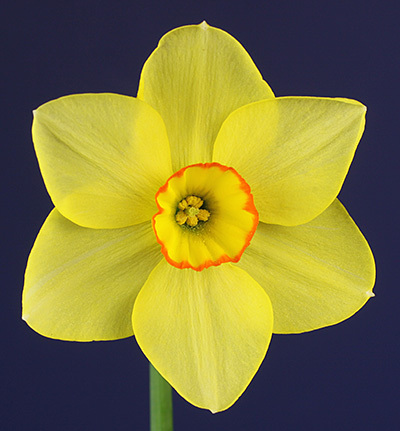 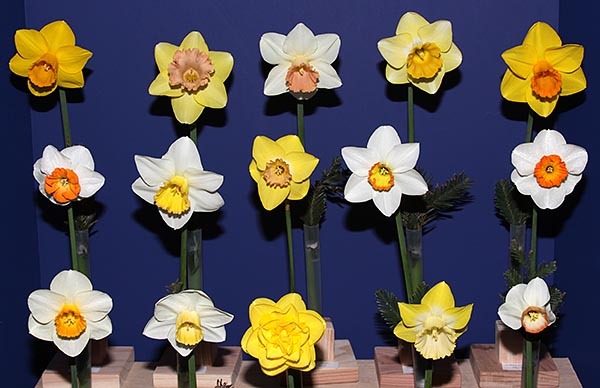 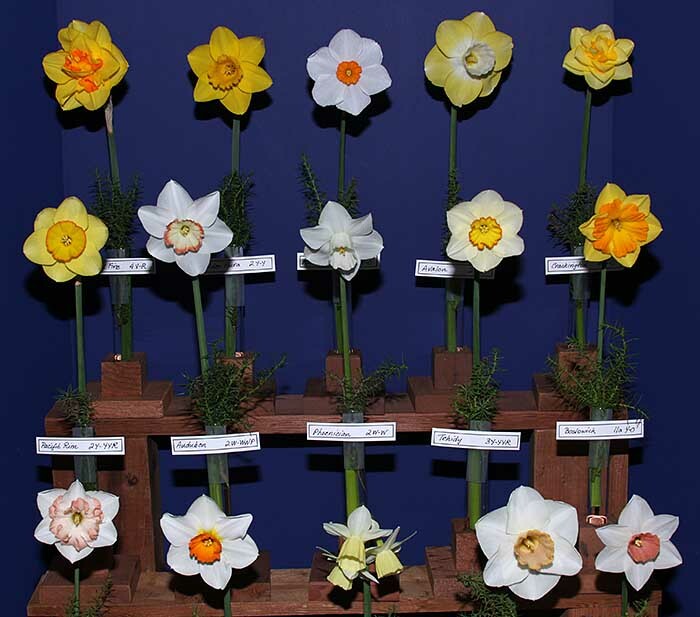 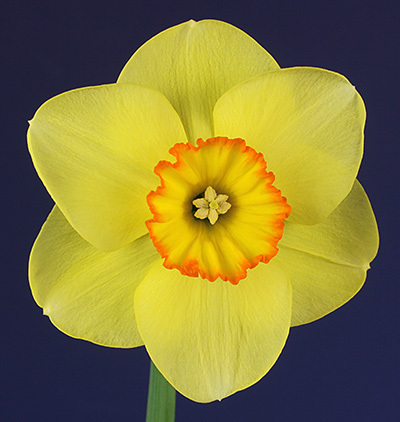 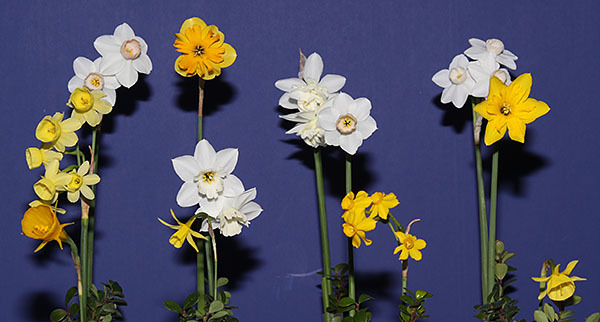 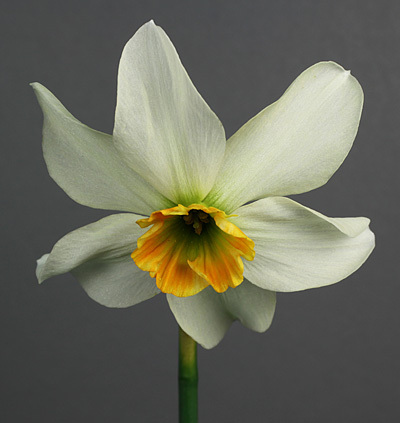 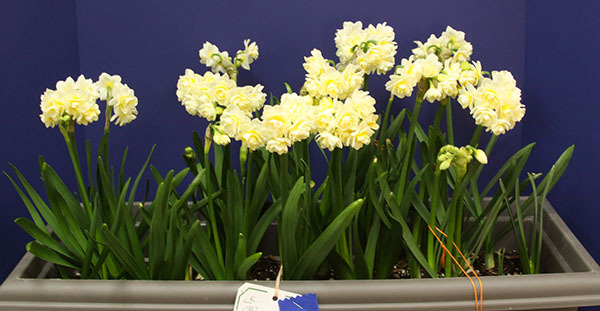 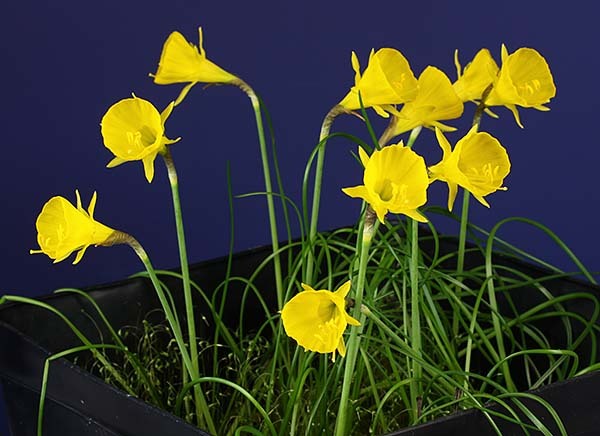 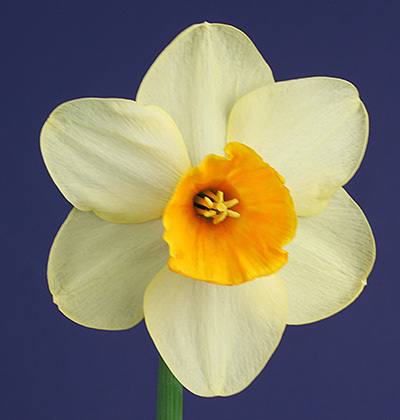 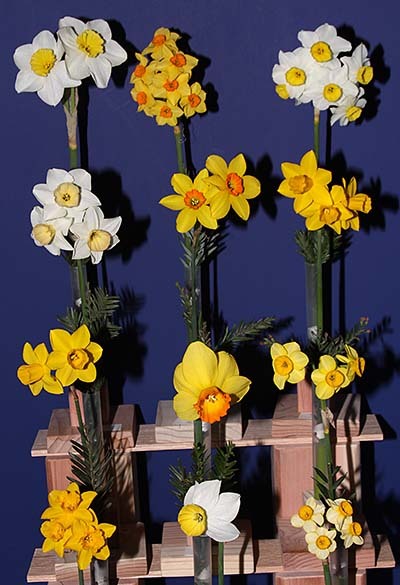 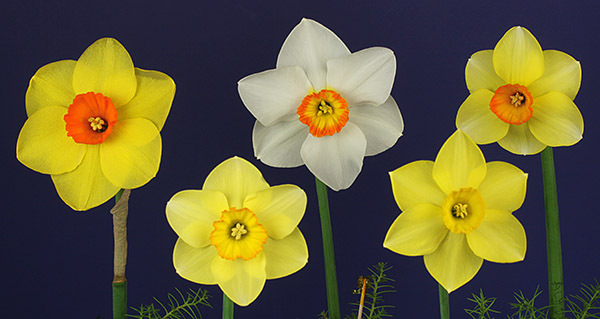 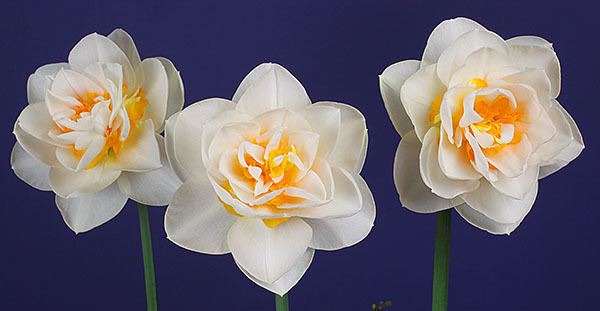 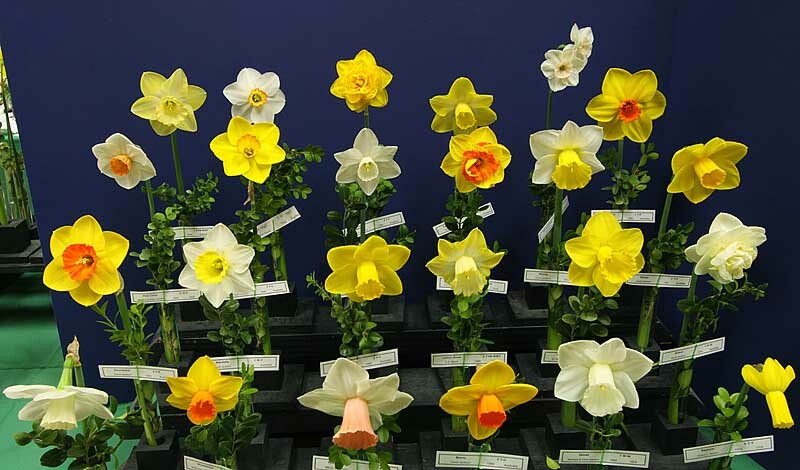 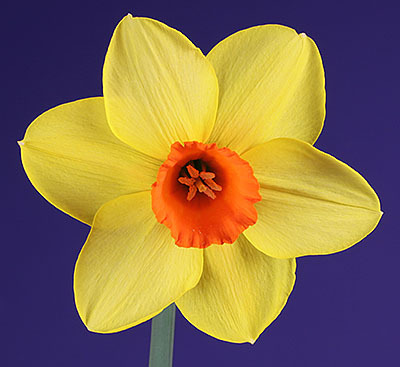 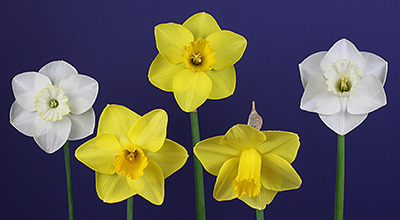 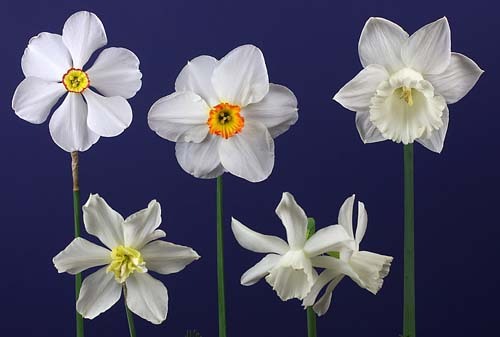 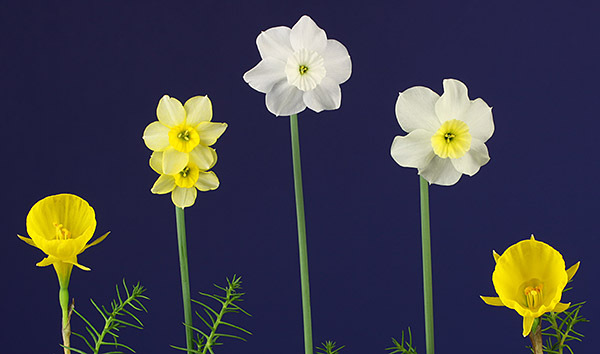 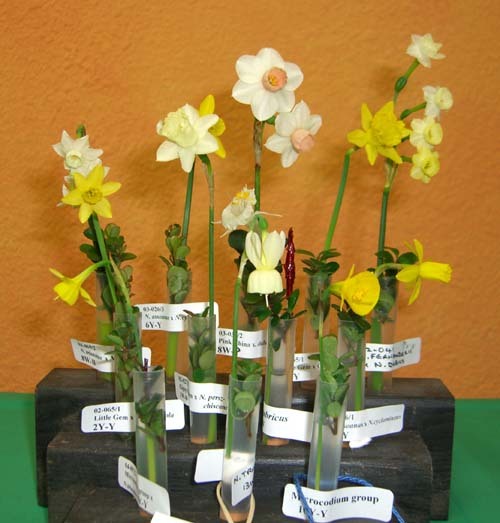 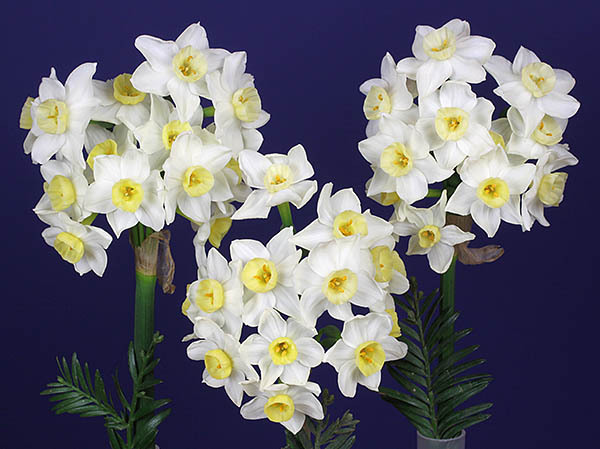 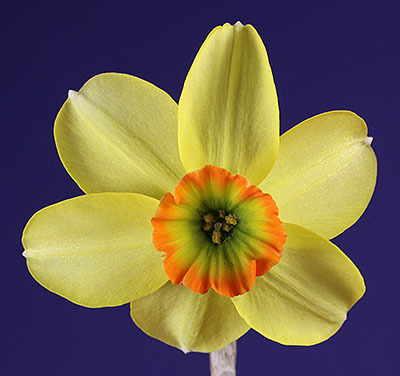 I have not heard about other local daffodil shows in the U.S., but the Livermore show may be the first to offer the new ADS awards for the collection of 24 miniatures and for the 3, 6, and 12 miniature cultivars by the hybridizer. 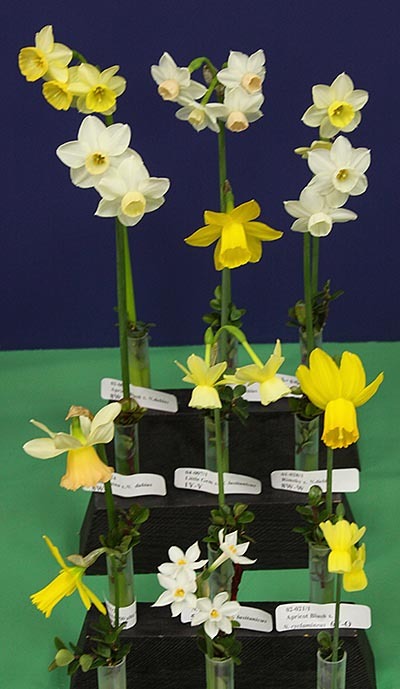 We actually had entries in all four of these classes including two entries in the collection of 24 miniatures. 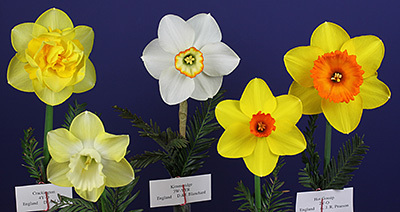 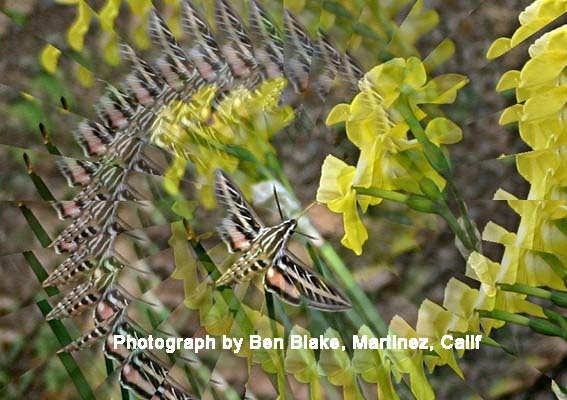 Although there was an entry, the ribbon for 6 by hybridizer was not awarded. 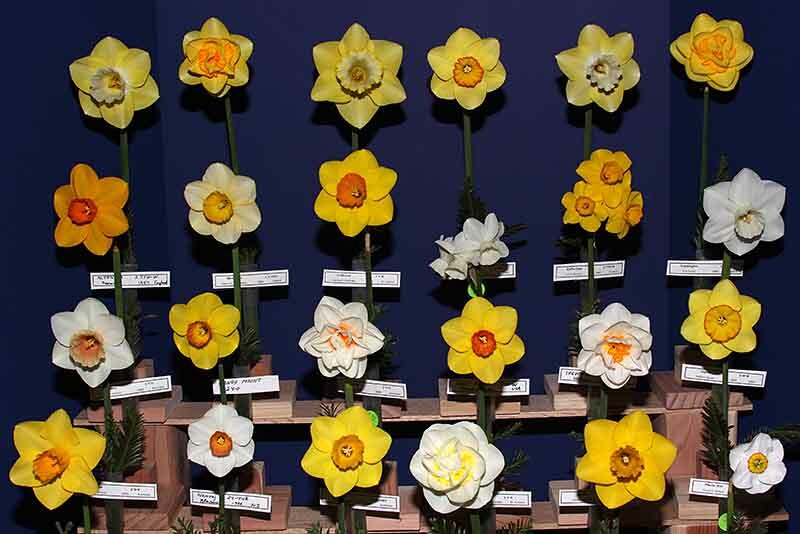 Of note, was the large number of miniatures in the show with 70 entries encompassing 254 stems. 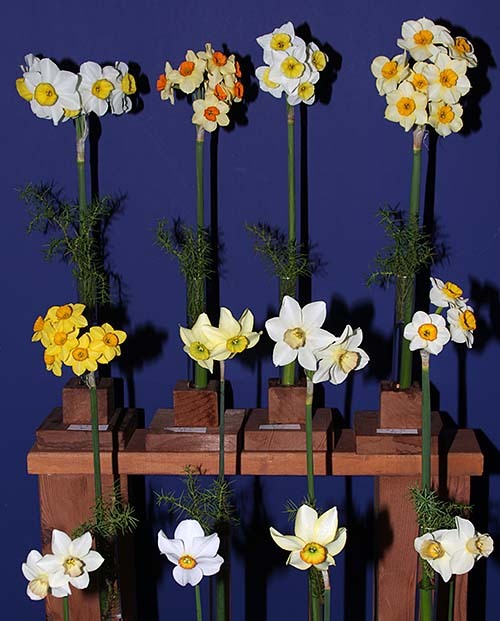 Credit for most of the miniatures goes to Harold Koopowitz, Marilynn Howe, and Jon Kawaguchi. 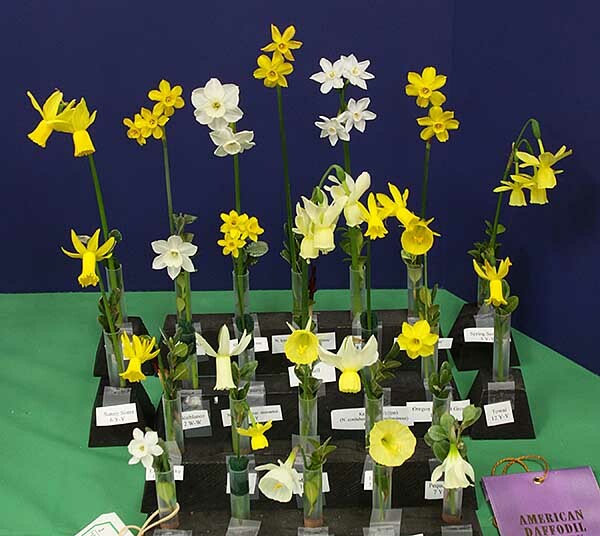 We’ve occasionally talked about the late-developing bloom that is ignored on Saturday’s judging, but on Sunday is possibly the best bloom in the room. 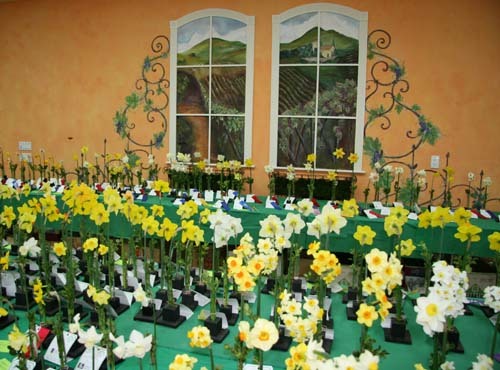 In my opinion, it happened again at Livermore. 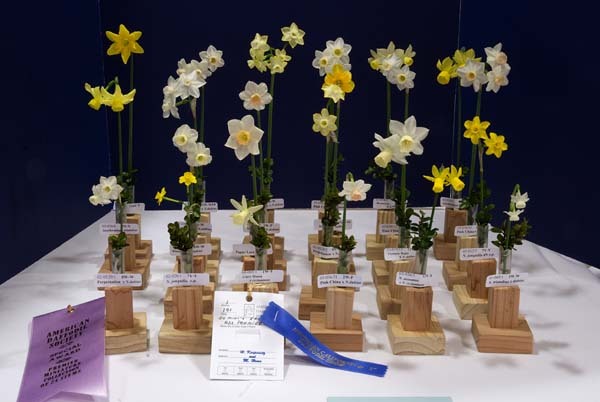 Kirby Fong exhibited a magnificent ‘Showdown’ to win Best of Show on Saturday morning. 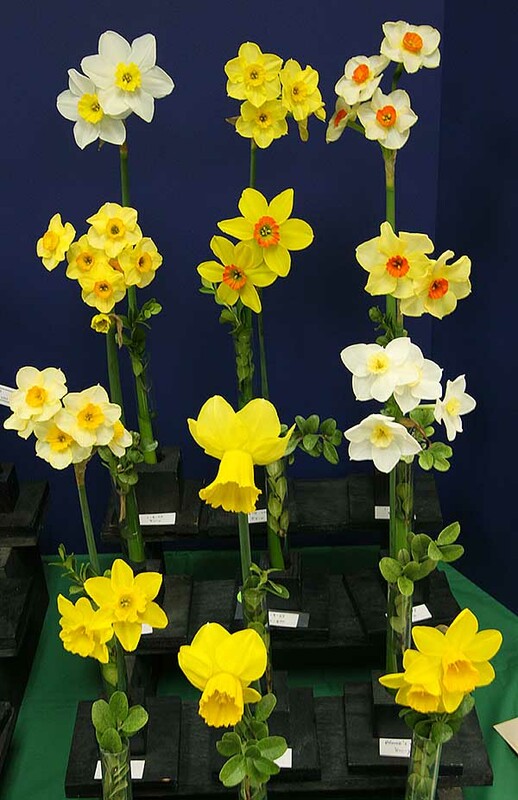 On Sunday, there was a stunning bloom of ‘Terminator’ in John Castor’s winning Division 2 collection that would have given the winner a good run then. 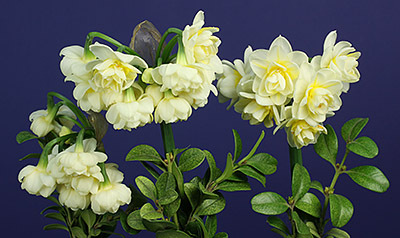 It had developed over time – it wasn’t brought forward for consideration on Saturday. 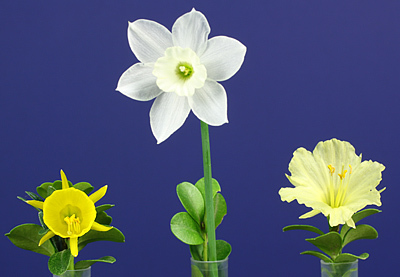 How about having a second-day champion?